From the center lane, which maneuver(s) can you perform? You may make left turns. You may pass slow-moving traffic. 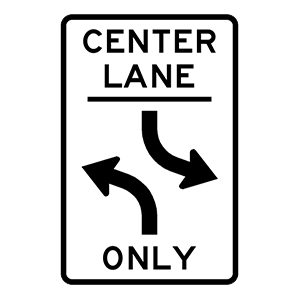 This sign indicates where a lane is reserved for the exclusive use of left-turning vehicles from either direction. Such a lane may not be used for passing or for through-traffic. Turn right or go straight. 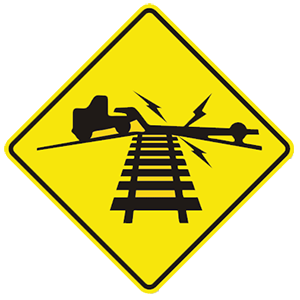 Warning signs prepare drivers for upcoming road conditions and hazards and are usually yellow with black markings. 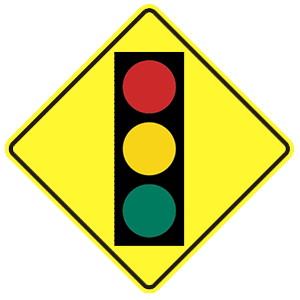 This sign alerts drivers to an upcoming intersection. 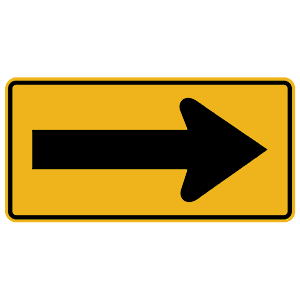 Traffic flows only in the direction of the arrow. 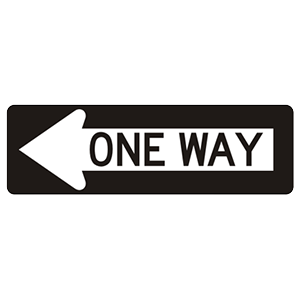 This one-way sign indicates that traffic flows only in the direction of the arrow. Be alert for construction workers on the road. 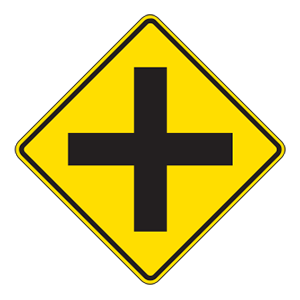 This sign indicates the presence of a pedestrian crossing. 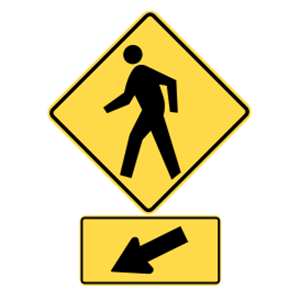 Drivers should be cautious when driving where pedestrians may be present. 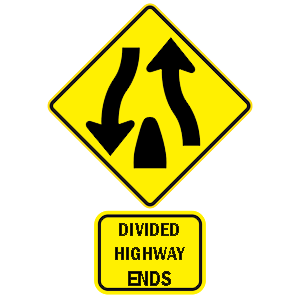 Highway changes ahead and to the right. Hiking trails ahead and to the right. Hotel ahead and to the right. Hospital ahead and to the right. 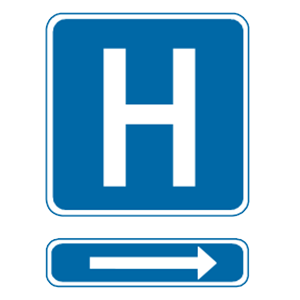 This sign indicates that hospital emergency services are located to the right.